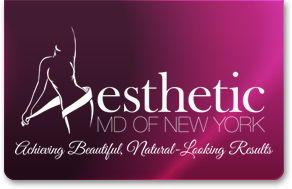 Mesotherapy is a cutting edge alternative to liposuction, plastic surgery and other invasive cosmetic procedures. Also known as Lipodissolve, Mesotherapy has been used successfully for fat removal under the eyes, along the chin and jaw line as well as anywhere unwanted fat occurs. During Mesotherapy, small amounts of medications, amino acids, vitamins and minerals are painlessly injected into the fat and connective tissue that makes up the middle layer of skin, called the mesoderm. Mesotherapy has a variety of applications: spot fat reduction, cellulite reduction, hair rejuvenation, scar revision, improvement of the quality and tone of skin and the reduction of wrinkles. Mesotherapy is revolutionizing facial rejuvenation by offering the only non-surgical treatment available for treating facial fat deposits. Talk to Dr. Adler today about how Mesotherapy can help you.